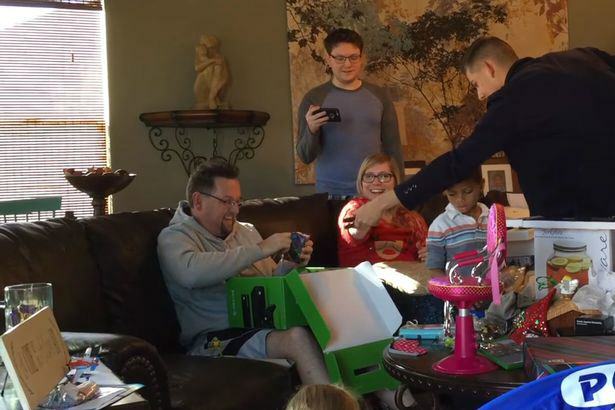 A son waited eight years to get his own back on his dad who pranked him and it was definitely worth the wait. 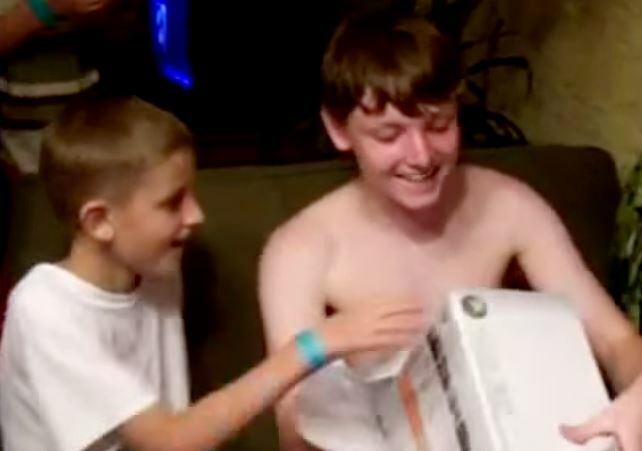 Back in 2007, the 16-year-old was given what he thought was an Xbox 360 for his birthday, but as he peeled back the wrapping paper he realised it was something completely different. Once the had gotten through the rocks and containers that filled the box he discovered a key to his first car. Well that could have been a lot worse, surely? So this year for Christmas, he and his brothers decided to get their own back… and video it of course. 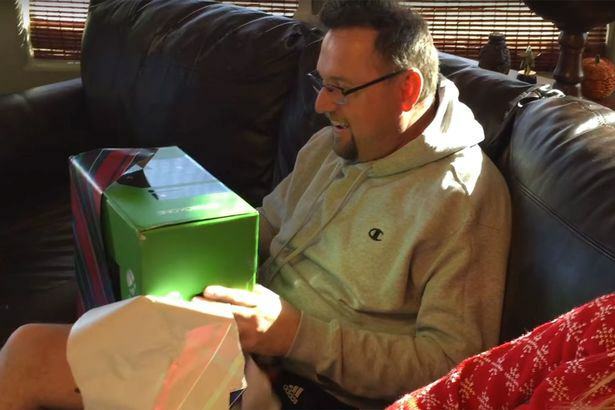 His racing-mad dad – who loves virtual racing series Forza – couldn’t play the newer versions because they were only made for Xbox One. So, after planning with his brothers, the son paid for the packaging for the console and loaded it with a load of crap- ready for Christmas morning. 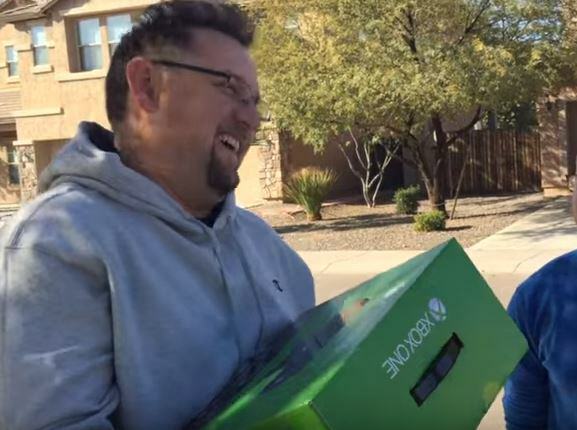 After finding a key in the box, he goes to the car and as if by magic there’s an Xbox One in his boot.